The most advanced and fully automated testing solution for high capacity mixers. 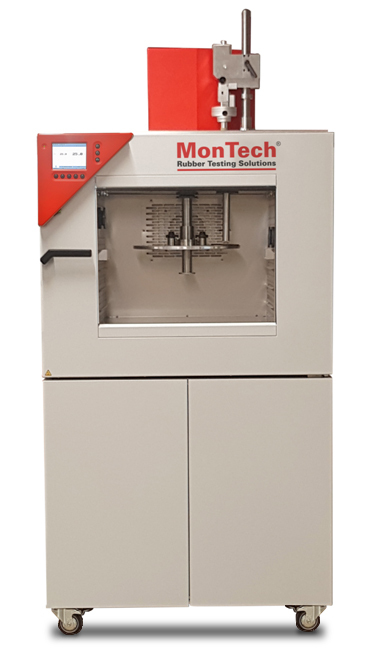 Automated and environmentally controlled rotary rubber hardness tester featuring an advanced temperature and humidity control chamber. 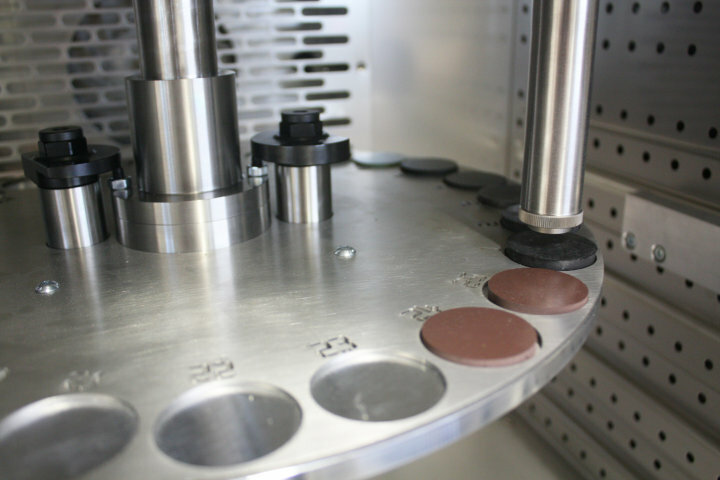 The HT 3000 Chamber rubber hardness tester is the industry’s most advanced hardness test to date. 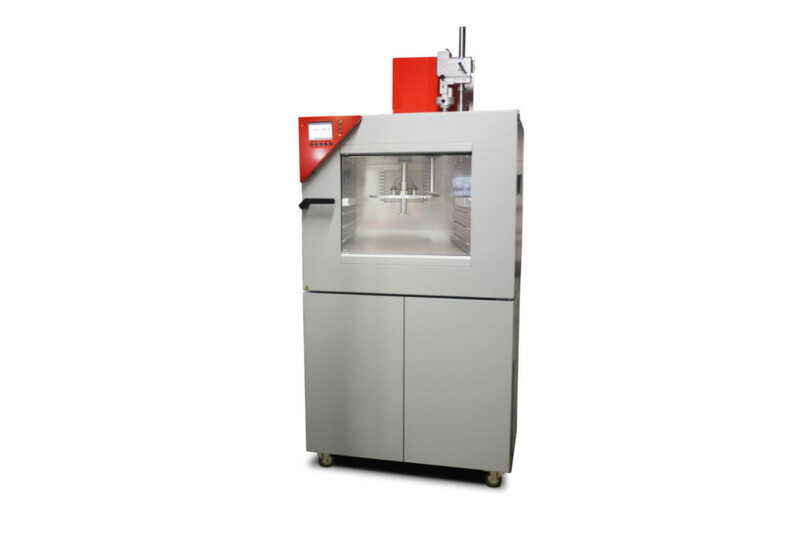 The HT 3000 Chamber features a digitally controlled temperature and humidity control chamber with an automation rotary tray. 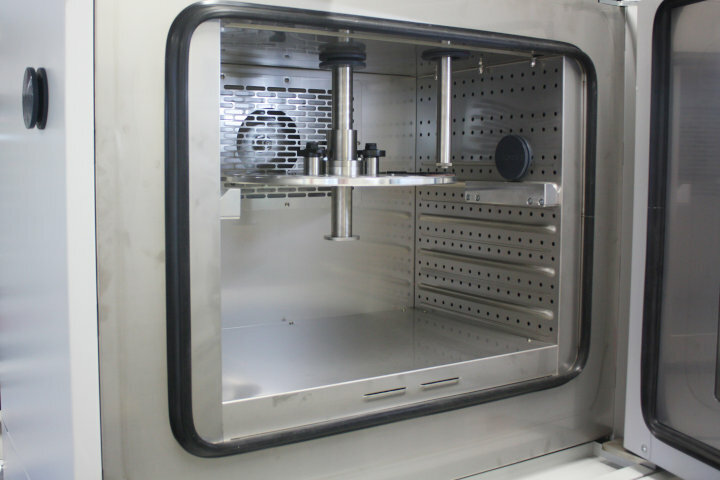 Samples may be queued on the tray and tested at any number of preprogrammed intervals in the fastest and most efficient way possible. 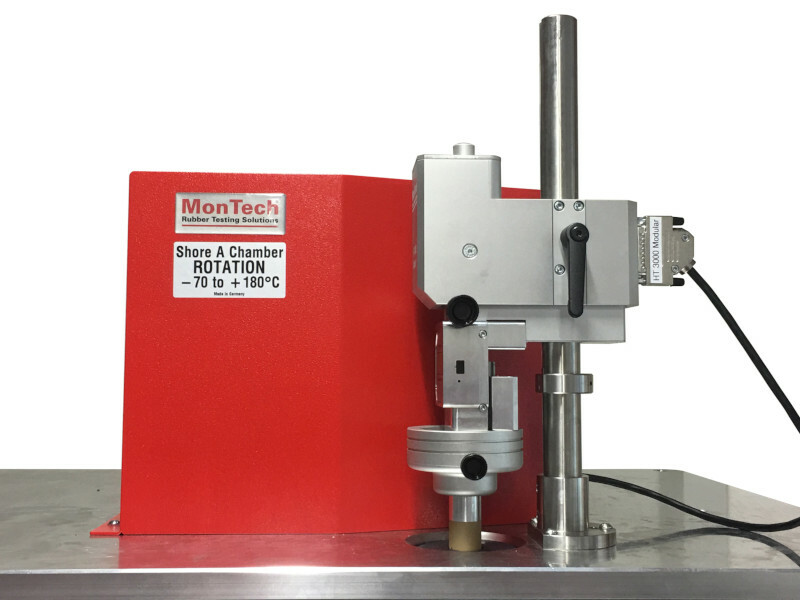 The external durometers may also be interchanged using MonTech’s modular durometer system. 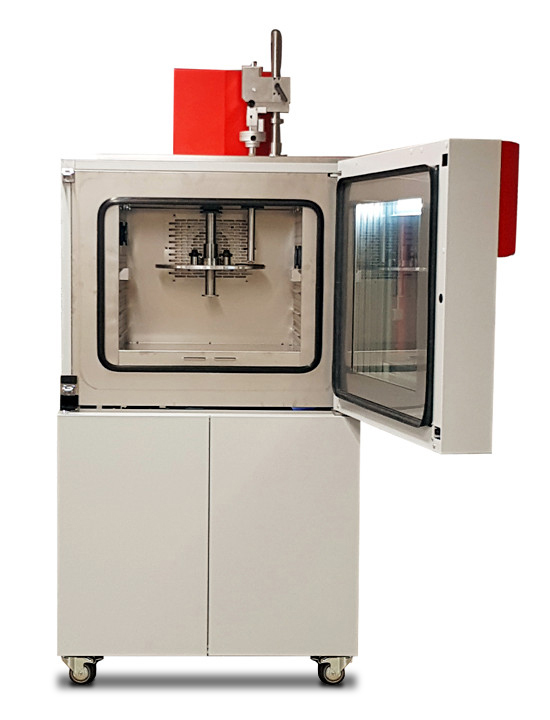 Automatic testing with rotary tray, the rotary tray can easily be uncoupled and a platform (included) can be installed for product testing (e.g. tire segments). Manual access port from right side included.